TheSwitch at the top of the scanner allows users to swiftly toggle between the Regularand Screen modes. Exceptional motion tolerance (2.5m/s)and large FOV (46°)enhance user experience. An IP50-ratedseal renders the scanner impervious to dust, water and other contaminant. Armed withNewland’s fifth-generation of technology, the scanneris capable of reading 1D as well as high-volume 2D barcodes on the screencovered with protective film. The scanner withstands multiple 1.2m drops to concrete(for six sides, one drop per side). 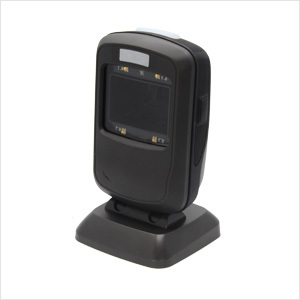 POS terminals, customerservice desk, ticket validators. RS-232 Equipped with a power connector; used to connect the scanner to a host device.